As the Elgin area's largest business organization of entrepreneurs, small businesses, middle-market companies, manufacturers, and corporations, a membership in the Elgin Area Chamber offers you a wealth of opportunities. Gain expertise and knowledge, build meaningful relationships, engage with business peers, and make a positive impact on your business and the community. The more you take advantage of all we offer, the more return on investment you will receive. Accreditation validates a chamber as having programs that benefit their local economy and positively influence their community. The only program of its kind in the country, U.S. Chamber accreditation recognizes excellence in chamber planning and performance. To receive accreditation, a chamber must demonstrate quality programs, clear organizational procedures, and effective communications by meeting minimum standards in its operations and programs, including areas of governance, government affairs, and technology. What is the Elgin Area Chamber of Commerce? The Elgin Area Chamber of Commerce is the Fox Valley’s largest business membership organization consisting of more than 600 member businesses. Our mission is to enhance economic vitality, advocate for business, and create opportunities for our members. 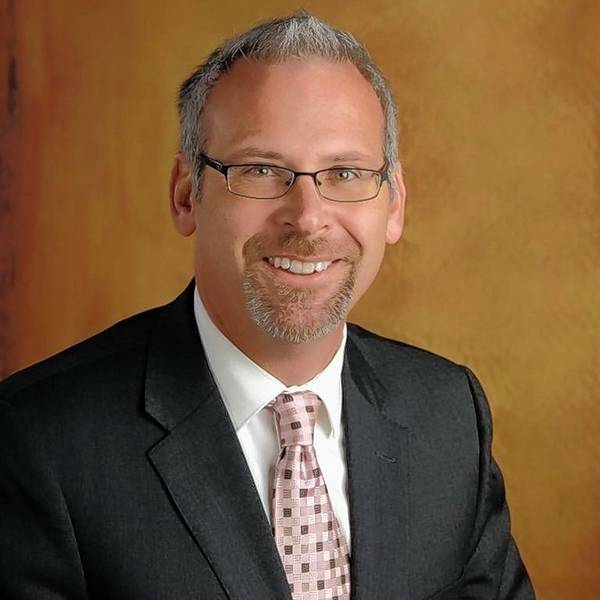 What does the Elgin Area Chamber do and how does the Chamber benefit my business? The Elgin Area Chamber is the voice of business, working to create value-added membership opportunities and a business climate that attracts new businesses and enhances growth and expansion opportunities for existing businesses. As the leading local advocate for business, the Chamber helps create a climate of growth and success in which all companies - regardless of size or industry - can prosper. Who are the members of EAC? What type of programs/services does the Chamber offer? The Chamber hosts more than 75 programs and events each year. These include high-level speaking programs featuring our region’s foremost leaders, issues-based roundtables, open networking, educational opportunities, and formal awards and recognition ceremonies. Our programs provide a platform for all our members to gain valuable insight from prominent business and government leaders, exposure to pertinent issues affecting the area’s leading industries, and the opportunity to build a valuable network of peers. My business is not in Elgin, why should I join the Elgin Area Chamber? Many organizations are members of several local Chambers. If you do business in Elgin, you should be a member of the Elgin Area Chamber. When is the Chamber office open? What can I find there? The Chamber office is open Monday through Friday, 8:30 am to 5 pm. Exceptions are federal holidays and a rare occasion when the entire staff is at an off-premises Chamber event. To be certain, you are welcome to call our office at 847-741-5660. At the Chamber’s office, you can find a variety of information about our member businesses, membership directory, and a map – all free! The Elgin Area Chamber is located in downtown Elgin at 31 South Grove Avenue. Please search our online Find A Service. You may search by business category, keyword or company name. You may also call the Chamber at 847-741-5660. Is the Chamber a good resource for finding vendors? What demographic information do you have available? Our economic development program, Elgin Development Group, maintains a variety of demographic and economic information. Visit the website or contact us at 847-741-5660. I am looking for employment in the area. What information is available? The Elgin Area Chamber maintains a job bank for companies seeking employees. Visit the site eacWorks. I will be visiting the Elgin area. What information do you have available? Check our community calendar and contact the Elgin Area Convention and Visitors Bureau where a comprehensive list of events and activities in and around Elgin is available. Chamber-member hotels/motels can be found here. What is the History of the Elgin Area Chamber? 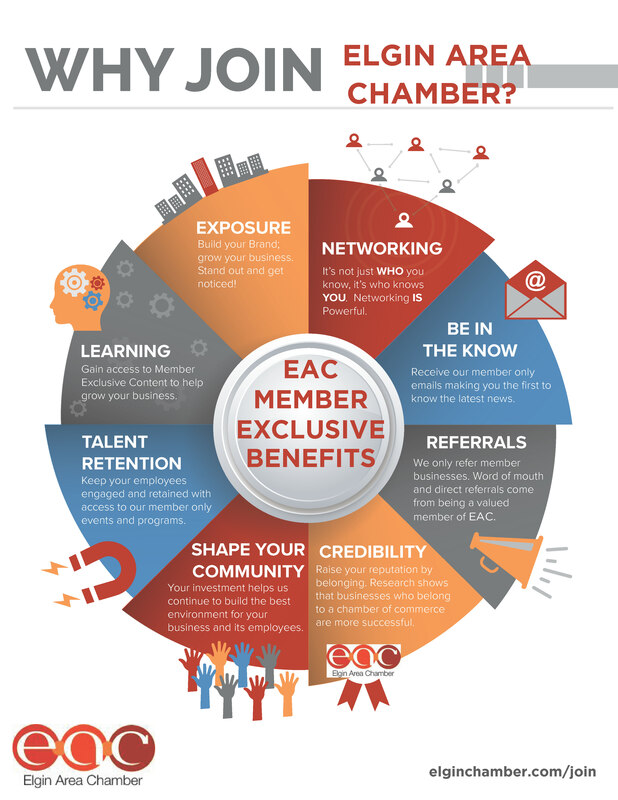 Thank you for considering becoming an EAC Member. I believe supporting the Chamber in its vision to improve our quality of life and economic vitality is paramount to sustaining Elgin’s competitive advantage. Through your Chamber membership, you contribute to the community in a very practical, effective way. The Elgin Area Chamber works for the business community on the most critical issues facing business today: education, transportation, healthcare, economic development, and many more. Your business can be part of all of this and more. I encourage you to become a member today.